Cumulus Media announces that "The Ty Bentli Show" is adding Tricia Jenkins. She'll join host Ty Bentli, Chuck Wicks and the team in mid-February. 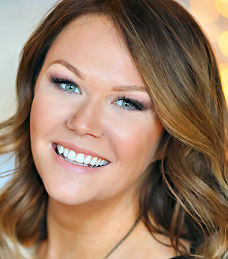 Jenkins heads to Nashville, home of of the company's NASH studios and "The Ty Bentli Show," from Minneapolis, where she was previously midday personality and Music Director at KMNB-FM, and fill-in personality at KEEY-FM (K102). Syndicated by Westwood One, "The Ty Bentli Show" launched earlier this month and features host Ty Bentli, Country recording artist and air personality Chuck Wicks, and an expanded cast of friends and characters who get Country weekday mornings live from the Music City. NASH Director of Programming John Shomby said, "The cast is now complete. We look forward to TJ being an integral part of The Ty Bentli Show." "TJ is one of the most amazing women I know," added Bentli. "Her value goes beyond the magic she will bring on-air with The Ty Bentli Show - she's hilariously honest, strategically focused, and innately curious about others. Tricia Jenkins, welcome to the Music City." Jenkins noted, "It doesn't matter how long I've been in this business, it's still mind blowing to me that I get to live in Music City to be a part of The Ty Bentli Show as my job. I can't wait to join the team at Cumulus Nashville and wake up with all of my new friends across the nation! Thank you, John Shomby, Ty, and Mike McVay for everything, but mostly for moving me out of -57 degrees (the current wind chill as I'm writing this)."